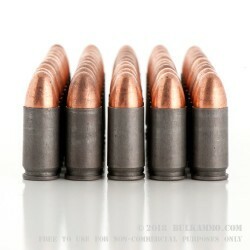 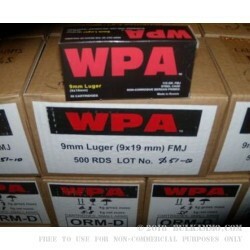 The cheapest ammunition you will find anywhere for factory fresh loads for the 9mm Luger cartridge. 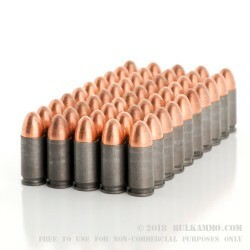 This steel cased ammunition is quite a value offering that shoots well enough out of mainstream firearms that it can replace many loads you are paying much more for. 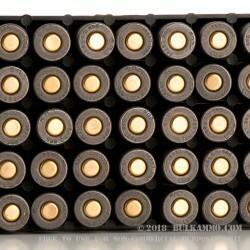 The steel case revolution isn’t complete yet, but the number of shooters that are opting for range ammunition in steel cased cartridges is growing every year. 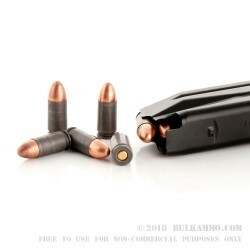 The benefits generally far outweigh the concerns, and the truth of the matter is that the steel cartridge casing is every bit as reliable in guns that are made to standard tolerances for the most part. 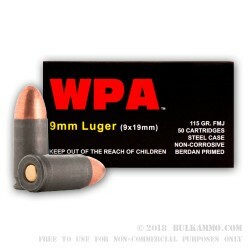 This is a light 115 grain load that recoils softly and yet, still offers more than enough power to cycle mainstream production 9mm’s. 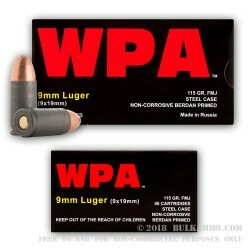 You will be getting a 500 round case lot for this purchase which puts the per round cost down to significantly lower levels than any other round on the market, usually including range reloads. 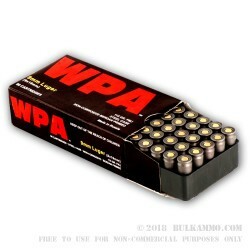 The whole story on steel from WPA: it’s not reloadable and it is a bit dirtier than other ammos. 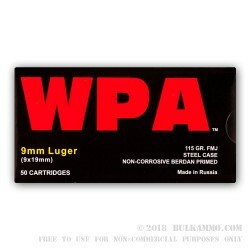 It is also sometimes not allowed on some indoor ranges due to the magnetic projectiles.